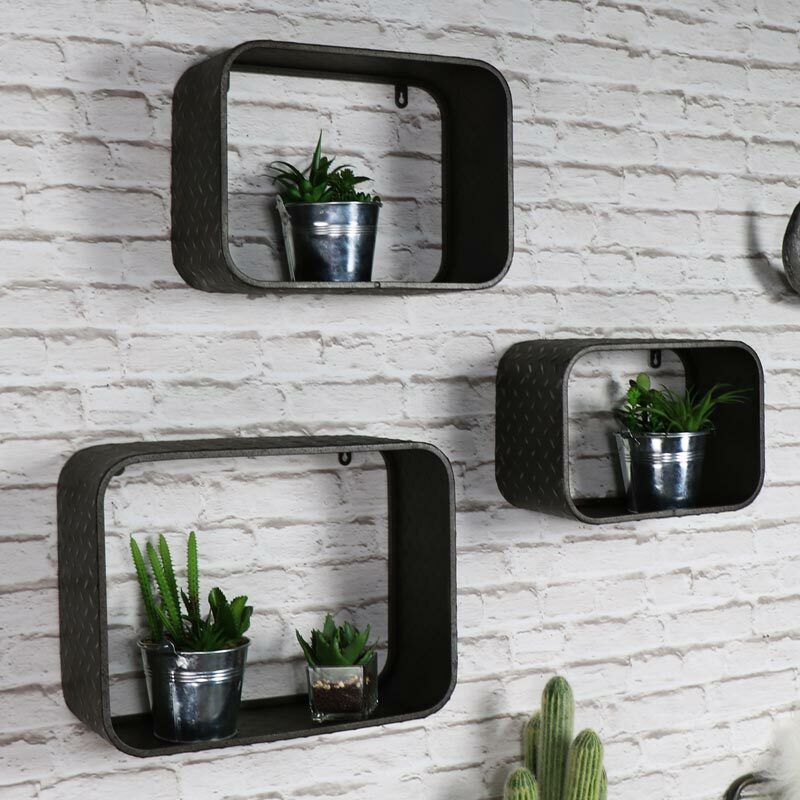 The perfect way to add some industrial chic to a room and create storage with these fantastic looking shelves. In a box design with 3 assorted sizes, these can be used together to create a display with your favourite ornaments or books or used individually for display or storage purposes. Great for use in the living room, bedroom, hallway or bathroom. These would also be perfect for a boy's bedroom or a garage or shed. 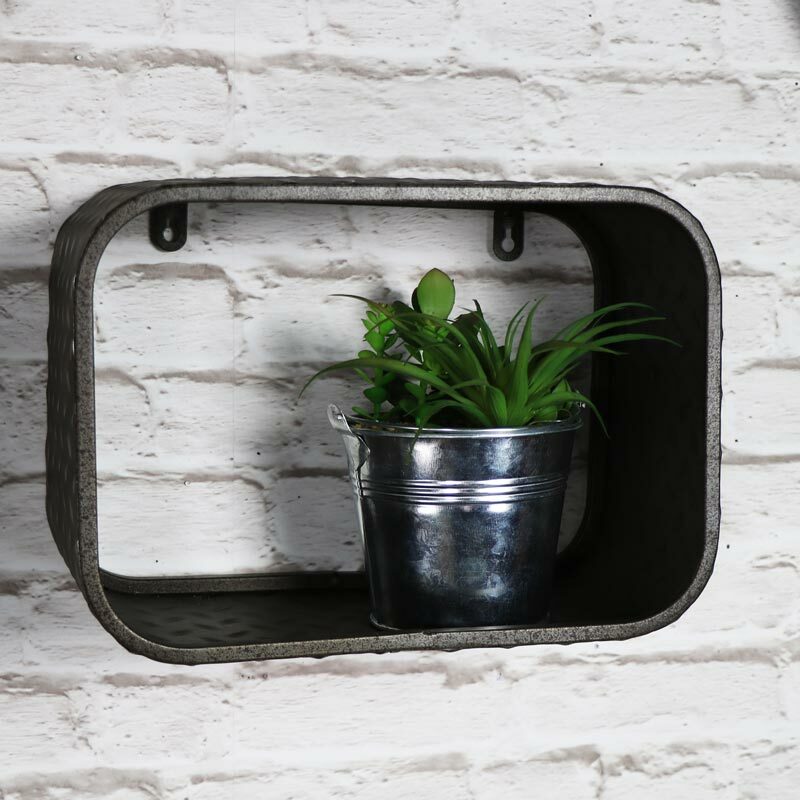 Made from metal in a rustic grey/black painted with with mild distressing. 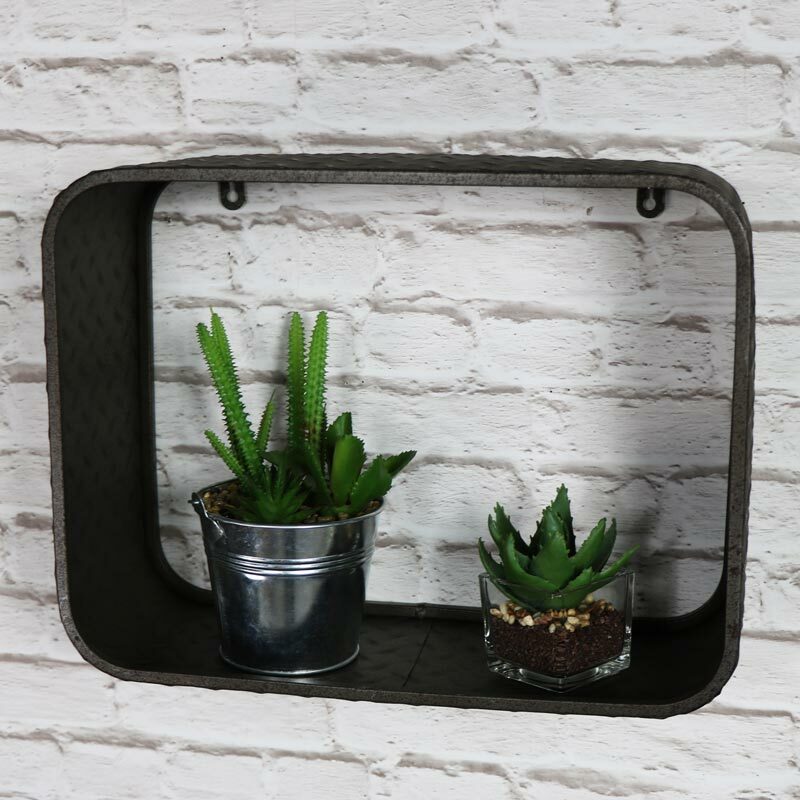 The largest shelf measures 40cm x 30cm x 16cm (width x height x depth), the medium shelf measures 35cm x 26cm x 16cm (width x height x depth) and the smallest shelf measures 30cm x 21cm x 16cm (width x height x depth). 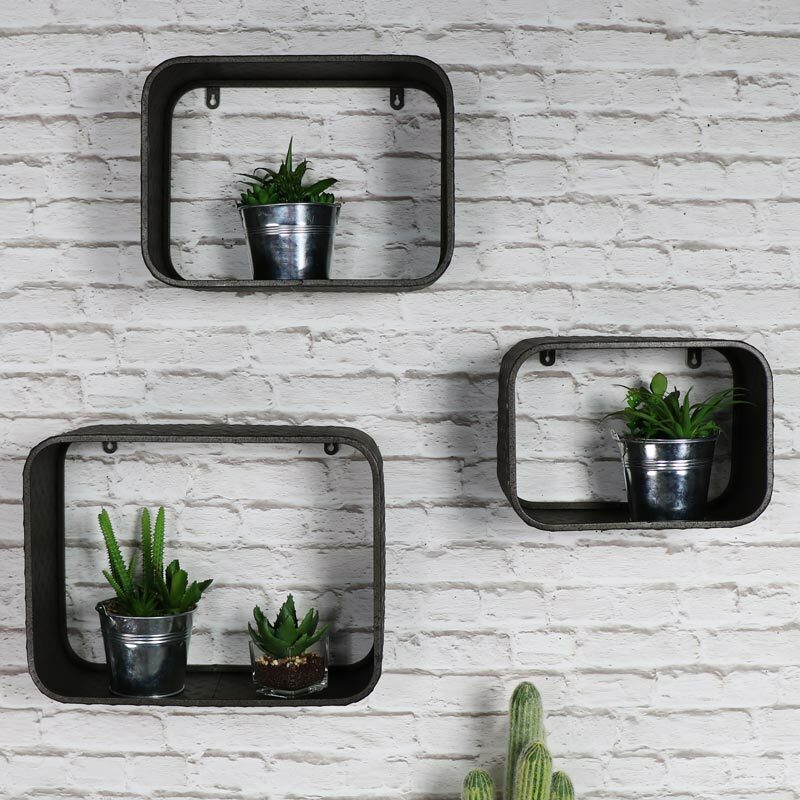 These are all easily wall mounted with 2 holes on each for fixing to the wall with screws (scrrews not included). 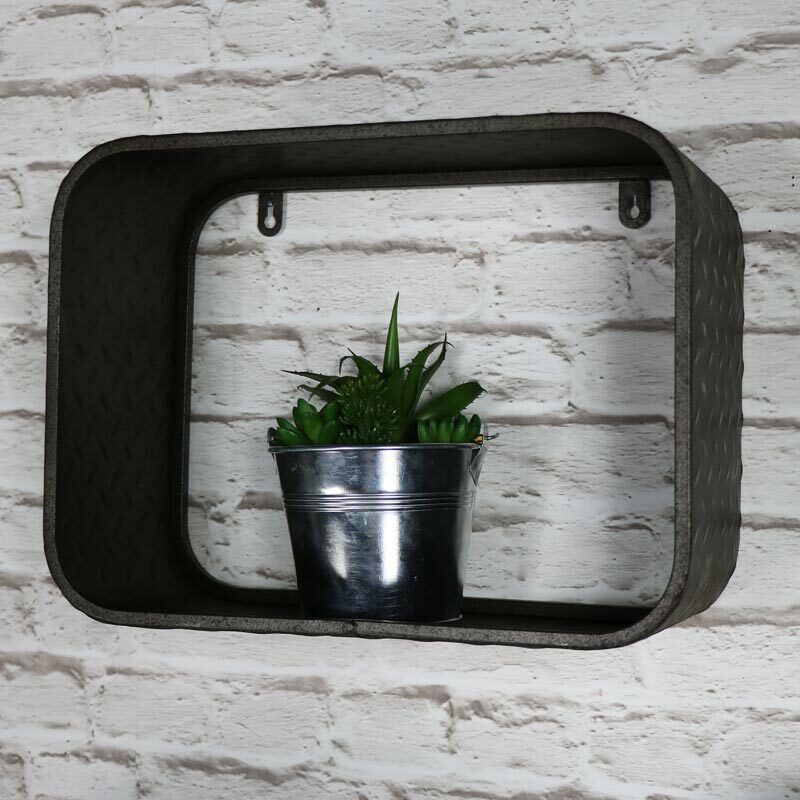 We have a wide choice of shelves and storage solutions in an array of styles that will suit any home and decor.